Water balloons are all biodegradable. Water balloons in less than a minute, Easy to use for kids and safe. 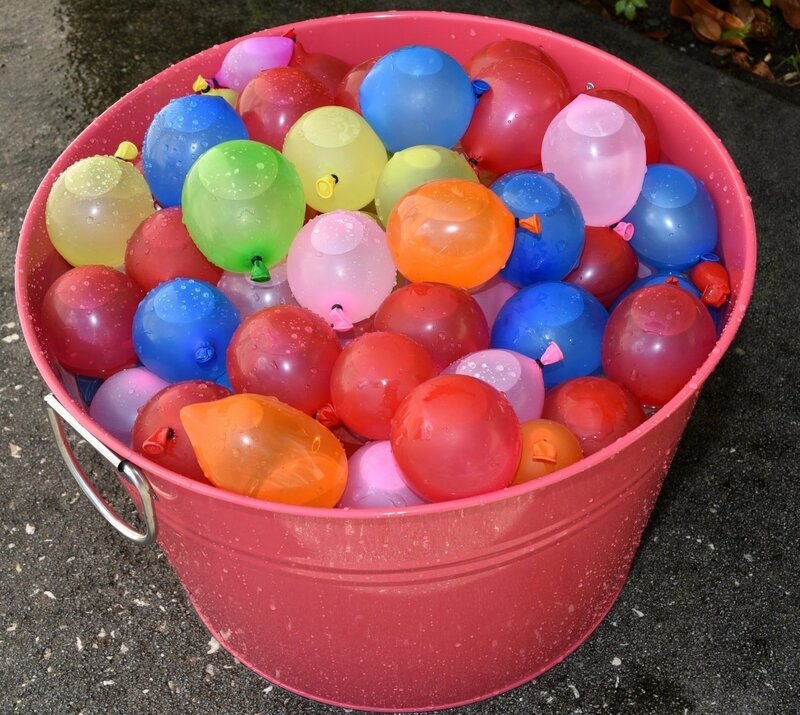 We give Quantity 111 water balloons per order. You will get (3) sets of 37 balloons. When the balloons reach the desired size just pull up on straws and the balloons drop into bucket and automatically seal and are ready for action! The hose fitting and water filling straws are not reusable and should be disposed of into recycling container. Self Sealing Balloons no more hassle trying to tie them. 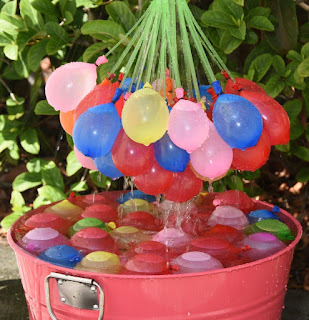 Recommended to fill up the balloons in a bucket of water. Will fill up 37 water balloons at a time with our cylinder system that divides the water flow into the balloons. 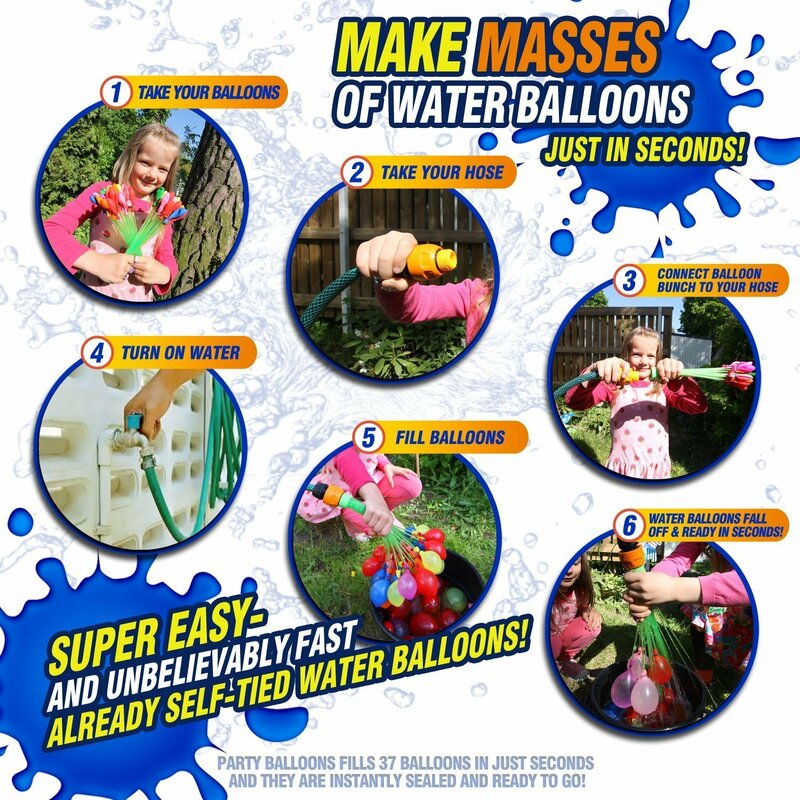 105 Water Balloons in Less Than a Minute Are you sick of time consuming preparation before water fights • Does filling them one at a time wastes your time? • Do you want to have fun without wasting time setting up? • Does filling each balloons causes water spillage? 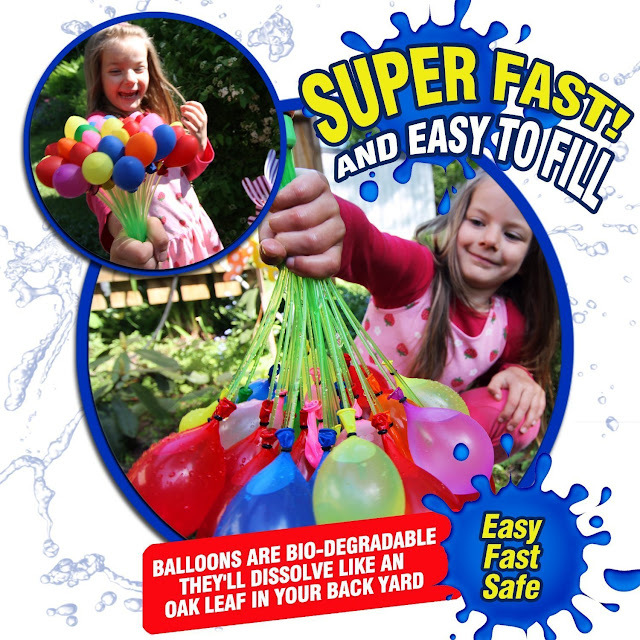 • Amazon Buyers Trust Our Didis Balloons to be Quality Premium Products You are Backed With Guaranteed Fun! I love that they come is so many bright colors! 3 separate sets of water balloons. I used 2 bundles and saved 1 for another time. Close up view of where you connect the hose. 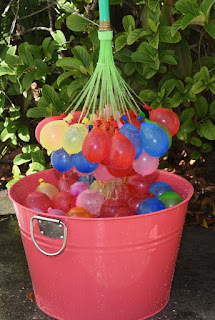 Easy to connect the balloon bunch to the hose. Connected....now turn on the hose! Hose is on and the balloons start to fill up with water! 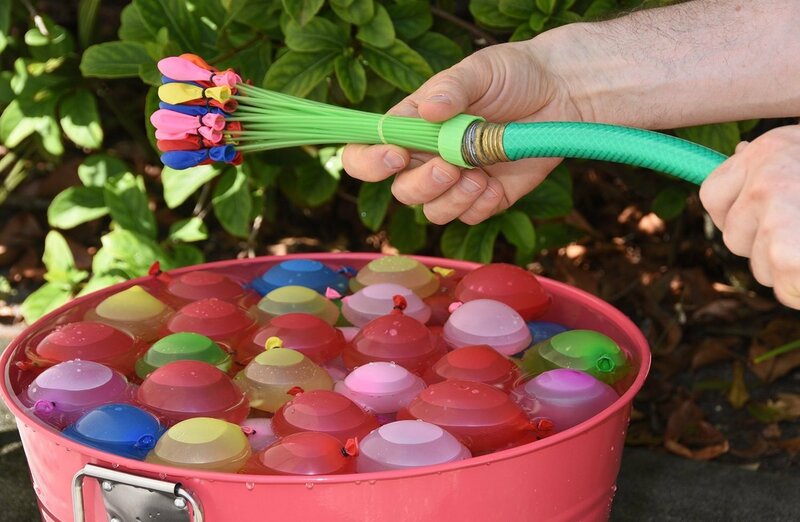 The water balloons fill up in no time at all! 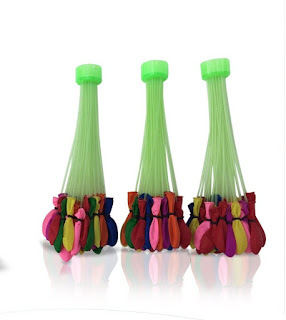 When the balloons were filled with enough water they quickly dropped off the straws and into the basket. Our little girls are so excited! I was so excited to get to try DIDIS Water Balloons. I had been putting off getting water balloons all summer long, they are such a hassle and I HATE having to tie them off. When I seen these water balloon bunches, I could not believe that they could fill up that many at one time and actually tie themselves. We quickly filled up 2 bunches of balloons and in no time at all the battle had begun! All 4 of us were giggling and screaming and running around the yard blasting each other with water balloons. It was so much fun, the little girls were thrilled and it totally made their 4th of July celebration an even more memorable one.